DJ Khushi, who was assigned for Priyanka Chopra and Nick Jonas engagement bash, says the singer is more Indian than American. DJ Khushi, who was assigned the task of spinning the disc at the traditional Indian ‘roka’ ceremony of actress Priyanka Chopra and Nick Jonas here, says the singer is more Indian than American. “Nick Jonas is more Indian than American. He was such a sport and was letting his lady lead the way throughout the celebrations. Both of them make such a beautifully co-ordinated couple and their sense of music is pretty much similar,” DJ Khushi said in a statement. “Friends and families danced on songs by Cardi B and Drake. In Bollywood numbers, songs like ‘Ban ja rani’ and ‘Bom diggy diggy’ and of course the biggest wedding song in the country – ‘Gallan goodiyaan’, which is a song from Priyanka’s movie, were a big hit,” he added. 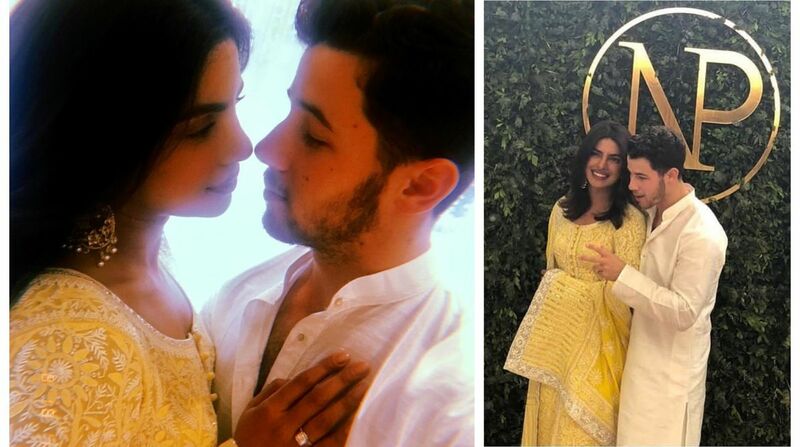 Priyanka and Jonas made their romantic relationship official on Saturday. The couple partied the night away with celebrities like Parineeti Chopra, Alia Bhatt and Anusha Dandekar in attendance. “I was given a mandate of keeping the mood energetic and breezy. My set started with a lot of deep house towards the early evening followed some of pop, hip-hop and R&B, and then as the night progressed…Bollywood,” said the DJ, who has previously helmed DJ duties for celebrations in the Lakshmi Mittal and Anil Ambani household.